I can come up with a cutting retort—I just can't do it quickly. I'm the person who stews for weeks over what I should have said in heated conversations that last all of a few minutes. Chalk it up to being (a) raised on Midwestern politeness, and (b) deeply uncomfortable with confrontation. 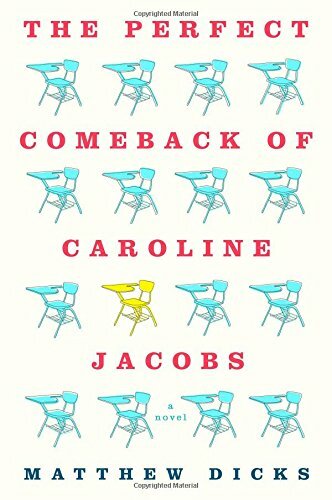 So I related easily to Caroline Jacobs, a middle-class suburban mom who snaps one night in a PTA meeting and shouts an obscenity into the shocked face of the hairsprayed and twinsetted harpy in charge. If that setup gives you a zing of naughty delight, you'll probably like Caroline and root for her to exorcise all her demons as much as I did. Because it's not really about the PTA (is it ever?). Upon reflection, Caroline realizes what she's truly upset about is something that happened back when she was in high school herself, a public humiliation caused by her once-best friend, Emily. And upon very little reflection at all—a total impulse, actually—she decides it's time to confront Emily and say her piece once and for all. Thus, with her recalcitrant daughter Polly as travel companion, Caroline hits the road back to her hometown for what promises to be an epic showdown. The story of their journey is light and fun, despite the heavy feelings Caroline has carried since freshman year. Caroline's deepening relationship with her daughter is sweetly portrayed, and her confrontation with Emily proves more complicated than a simple telling off. A small but endearingly zany cast of supporting characters rounds out the novel. This would be a nice, quick read to cap off your summer. With regards to St. Martin's Press and NetGalley for the advance copy. On sale September 8.